Baby Root has interesting pots. | Do. Be. Interesting. Home Adventure Baby Root has interesting pots. Last weekend I stood with H in front of the Baby Root booth at the Mill Creek Festival talking to hundreds of people about air plants, succulents, cactus, and hand-made concrete pots. I looked up and saw a man on stilts looking down on me with a smile. “What about this one?”, I said. What? 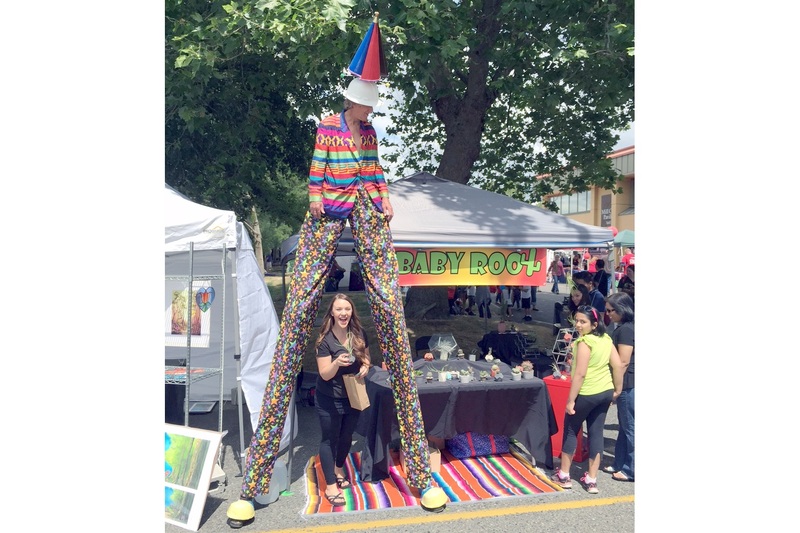 A guy on stilts with knowledge of the Platonic solids? Well, I’ll tell you all about it while I’m roaming the country in Hotel Prius starting next month! Previous articleSoft Moon is interesting music evolved! Next articleBaby Root is more interesting on the beach. I will wait for interesting when I hear about Hotel Prius. So, I’ve been following this interesting blog and then you stopped posting, and now it’s a month between posts, and not once have you told us how you let H crawl back into your life or why she’s now hanging out with you at booths. Do be interesting and enlighten us all.